There were dozens of hilarious little stories and moments from last night, and I'd love to tell them all and make you and I laugh, but for the sake of having time to sleep today, let's just stay closer to what you're expecting me to talk about - New Year's Eve. I really don't like birthdays, anniversaries make me uncomfortable (hi Morgan), and I generally just don't like celebrations. 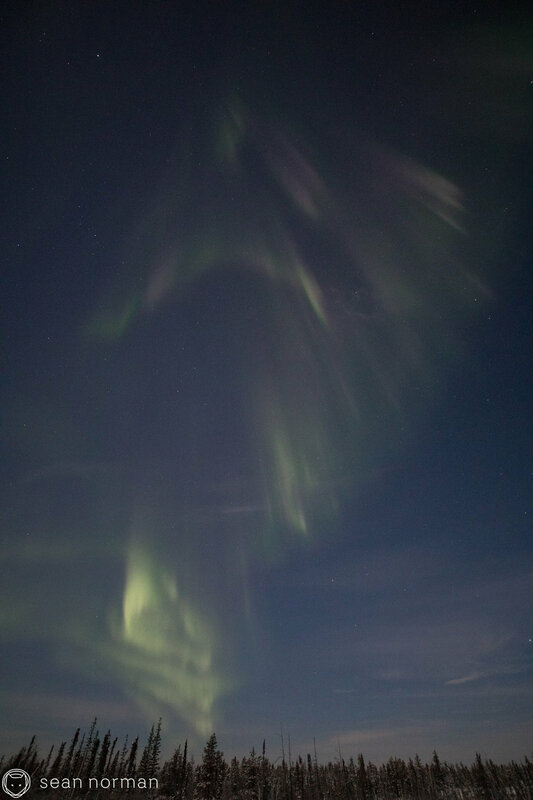 But I will say this, that I can appreciate and fall in love with, as much as anyone, the magic of an auroral breakup after three nights of very quiet auroral conditions, literally right as we turned from 2017 to 2018.